All styles and directions. Select a training camp in the martial arts, which you are interested. Read the descriptions with photos and video. Read all the terms and prices. Travel and exercise. Learn from these masters, the most famous schools, monasteries, and the sections around the world. All training camps on Thailand's most popular resorts, not only. Thai boxing style of the ancestors. Skilled craftsmen for centuries and proven teaching methods. Clubs, halls and schools - a detailed description with photos and videos, prices, reviews and other useful information. All monasteries and schools in China in all areas of melee combat. Detailed descriptions of training and accommodation. Photo and video. The best prices with discounts and bonuses - only on our website. Программа обучения Jaguar Escrima Обучение 4 часа в день, 5 дней в неделю. Тем не менее, этот график, так же, как Jaguar Escrima, является гибким и обучение часы и дни могут быть адаптированы в ..
1 Month Jaguar Escrima Training in the Philippines..
Программа NinjaGym Боевые искусства Тренировочный лагерь Типичный график обучения Понедельник: Multi-боевые искусства, оружие и современное обучение ниндзя. 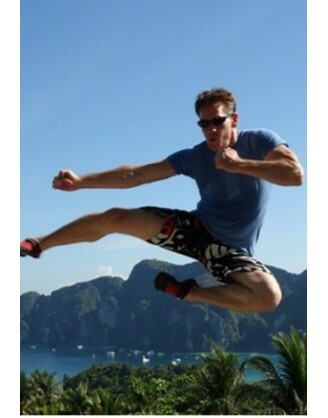 Вторник: Фитн..
1 Month Thailand Martial Arts Island Ninja Camp..
Паттайя Kombat Группа Единоборства Учебные программы Комбат Group является обучение и потеря веса лагерь расположен в Паттайе, Таиланд. Здесь вы можете тренироваться в следующих дисциплинах: муа..
1 Week Pattaya Muay Thai, MMA, Krav Maga in Thailand..
Паттайя Kombat Группа Таиланд Единоборства Программы обучения Комбат Group является обучение и потеря веса лагерь расположен в Паттайе, Таиланд. Здесь вы можете тренироваться в следующих дисципл..
1 Year Muay Thai, MMA, Krav Maga Training in Thailand..
Паттайя Kombat Группа смешанных боевых искусств Программы обучения Комбат Group является обучение и потеря веса лагерь расположен в Паттайе, Таиланд. 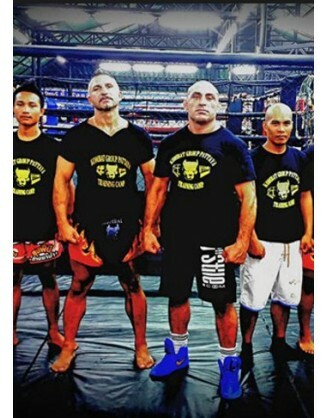 Здесь вы можете тренироваться в следующих ди..
3 Months Self Defense & Muay Thai Training in Thailand..
4 Weeks Muay Thai Training in Pattaya, Thailand..
Паттайя Таиланд Kombat Группа смешанных боевых искусств Программы обучения Комбат Group является обучение и потеря веса лагерь расположен в Паттайе, Таиланд. Здесь вы можете тренироваться в сле..
6 Months Pattaya Martial Arts Training in Thailand..
Крав Maga & защита Обучение - 12 дней Крав-мага и обучение по охране VIP в Израиле израильским крав International Крав Мага обучение это все о реальном мире. Когда люди тренируются в боевых искусств, таких как джиу-джитсу..
11 дней Крав-мага Обучение в Израиле и приключения Обучение в Израиле - Израильский крав International - Израиль Мы находимся в Израиле, нашей родине, в прекрасном городе Маале-Адумим, недалеко от Иерусалима. Это наш израильский штаб-квартира..
Крав Maga & Антитеррористические курсы - 13 дней Крав-мага и анти Terorrism Обучение в Израиле израильским крав International Крав-мага переводится в ближнем бою или контактного боя. Народ Израиля был "рожден" в бою. Плем..
8 дней Крав-мага тренировочный лагерь в Израиле Крав Мага Ядро | Крав-Мага лагерь в Израиле TKrav Maga является наиболее эффективным - и самая популярная - система самозащиты в мире. Присоединитесь к одному из наших курсов и стать ..
10 дней Приключения Мага Крав в израильской пустыне Крав Мага Global - КМГ Крав Мага в переводе с иврита на английский язык, как "Контакты Combat" была первоначально разработана в качестве невооруженного боевой системы по..
10 дней Touring Израиль и обучения в Крав Мага Global - КМГ - обучение и тур в Израиль Крав-мага Global предлагает Вам и всем остальным от всего мира уникальный опыт путешествия в Израиль. Вы будете обучение крав-мага и посещение многих интер..
Krav maga (Hebrew; contact combat) is an Israeli martial art that was developed in the 1940s for use by the Israeli military and intelligence services. The creator of the system was Imi Lichtenfeld, an immigrant to Israel from Bratislava, Slovak (formerly Czechoslovakia). Today it is the official fighting art of the Israeli Defense Forces (IDF) and has gained popularity worldwide as an effective and devastating fighting method. It is a fighting art exclusively; sport variants do not exist. Krav maga has earned high marks from police forces and elite military units worldwide as a practical martial art that is easy to learn. Although a fairly recently developed martial art, its growth has been impressive and shows no sign of abating. Imi Lichtenfeld was born in Budapest in the Austro-Hungarian Empire in 1910. The family later moved to Bratislava. His father, Samuel, had been a circus performer and taught Imi wrestling, physical fitness, and various martial art techniques he had learned from his years of travels. Samuel Lichtenfeld was also a chief inspector and self-defense instructor for the Bratislava police department. Imi developed into an athlete and won several wrestling, boxing, and gymnastics competitions throughout his youth. In the 1930s, the political situation for Jews in Czechoslovakia began to turn grim. Germany had become a Nazi state characterized by rabid anti-Semitism as its ideological base. This anti-Semitism exploded onto the streets of Bratislava. Nazi sympathizers created gangs and political parties who began to harass and physically assault Jews on the streets. Imi often found himself in the middle of fights, and because of his background, gave self-defense lessons to fellow Jews. Lichtenfeld soon found that there was a vast difference between the sport combat systems he had studied and actual street fighting. The Nazi and fascist gang members had no qualms about using knives and rocks as weapons or attacking the vital points of the human body, none of which was allowed in sporting events. Fortunately, Lichtenfeld was quick to adapt his knowledge to the new realities in order to defend himself successfully. These experiences, however, fixed in his mind the necessity of developing an actual combat system as opposed to relying for defense on sport fighting constrained by rules. Imi left Bratislava and immigrated to Palestine (later Israel) in 1942. Palestine was at that time assigned by the League of Nations as a mandate to Great Britain. Immigration by Jews to Palestine was severely restricted, despite the Nazi death camps that were being used to kill European Jews. In addition, Jewish residents of Palestine were under attacks constantly from the Arabs in the region. To combat these attacks, the Jewish residents had formed the Hagana, the forerunner of the IDF. The Hagana’s purpose was to bring as many Jews as possible through the British blockade and to fight back Arab assaults. Lichtenfeld joined the Hagana soon after his arrival and became a self-defense instructor for Hagana soldiers and special operations units. Weapons were scarce at this time for Jews, so hand-to-hand combat was a vital necessity. From his arrival until 1948, Lichtenfeld constantly worked on the theories and curriculum of what he eventually labeled krav maga. He developed his system according to three criteria: It had to be effective, it had to be simple enough to be learned by anyone with any type of body shape and size, and it had to be learned quickly. In 1947, Israel was declared an independent nation by the United Nations, a decision that quickly led to war between Israel and its surrounding Arab neighbors. Despite overwhelming odds, the Israelis won the conflict and established the independent State of Israel as a homeland for Jews. World War II had left devastating psychological and physical scars on Jews. The Nazis had killed six million, one-third of the total number of Jews worldwide. Many of the survivors fled to Israel. The “lesson” of the Holocaust, as the destruction of European Jews came to be known, imprinted on Israelis the realization that the survival of Israel would depend on Jews alone. Even after the victory of 1948, Israel would have to remain in a state of high alert because of the hostility of its Arab neighbors. This readiness is reflected in the intensely combative nature of krav maga. By the time the IDF was fully organized, Lichtenfeld had prepared the curriculum of krav maga. 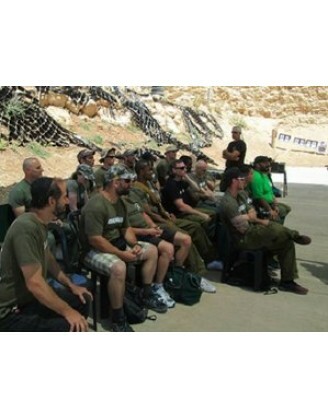 All Israeli soldiers were given basic training in the system. Israeli special operatives received advanced training. Often Israeli Mossad (Secret Service) agents were sent into regions where carrying a weapon was not practical. Krav maga was the only “weapon” that these operatives could use. In 1961, several of the Mossad agents who captured the infamous Nazi leader Adolph Eichmann in Argentina were krav maga experts. Krav maga is, therefore, one of the most modern martial arts, and it is also one of the few that was developed directly for battlefield and urban combat. The constant state of warfare and terrorist attacks that have become a part of Israeli life have meant that any system of self-defense would have to be effective and realistic. Due to these extreme circumstances, Lichtenfeld had, in effect, a laboratory for the development of the art. Soldiers and practitioners in combat conditions who were forced to use the art for self-defense could report back to Lichtenfeld which techniques were effective. Lichtenfeld consequently modified techniques based on these actual experiences. As a result, krav maga is a proven warfare combat system. Although the system was originally intended for the military, by the early 1960s Lichtenfeld was teaching krav maga to civilians. 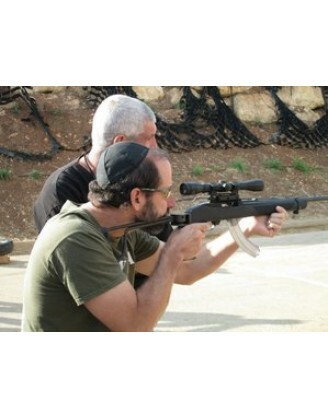 Because of interest from the general public, after retiring from the IDF, Lichtenfeld began to modify the art for civilian use. 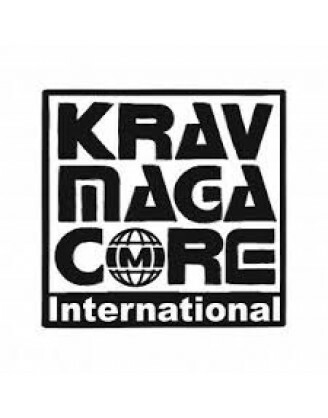 In 1 978, the International Krav Maga Federation was founded to teach the art worldwide. Its headquarters are located in Netanya, Israel. Branches of the main school can be found all over Israel, and at the present time the art is being taught worldwide. 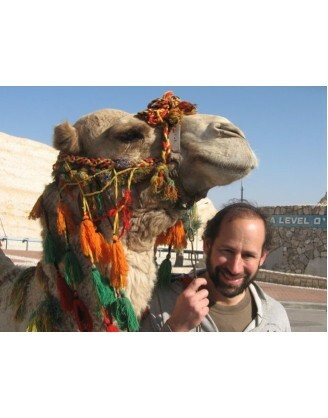 It is most popular in Israel, Finland, Sweden, Brazil, the United States, and France. Although Imi Lichtenfeld died in 1998, the success and popularity of krav maga continues. Krav maga is divided into two main systems. The first, Self-Defense Krav Maga, is a standardized basic course of self-defense that can be learned in as little as twenty hours' time. It teaches students how to defend themselves effectively against the most common attacks. 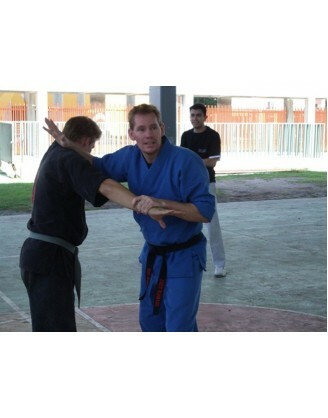 Practitioners also learn to strike the weak points of the human body, to use basic holds and throws, and to recognize the danger signs of an attack. The second system, Combat Krav Maga, is a combat martial art. It is mastered over a period of time, like other martial arts, and practitioners are graded according to a belt system. Belts begin with white (beginner) and proceed to black for advanced students. Combat Krav Maga practitioners are taught all phases of combat, including kicks, punches, throws and takedowns, grappling techniques, and weapons use. Krav maga differs from most Asian martial arts in three respects. First, there are no kata or forms that practitioners must learn. Kata (Japanese; form, forms) are prearranged patterns of movement that teach practitioners the correct way to move and punch, block, kick, or execute a throw. Krav maga techniques are designed to be instinctive rather than learned. Second, krav maga has no ritual or ceremony attached to it. In Asian martial arts, a fighting match usually opens with a bow. By contrast, krav maga practitioners are expected to move directly into combat, with the assumption that the opponent is trying to kill the practitioner; no opening ceremonies are expected or practiced. 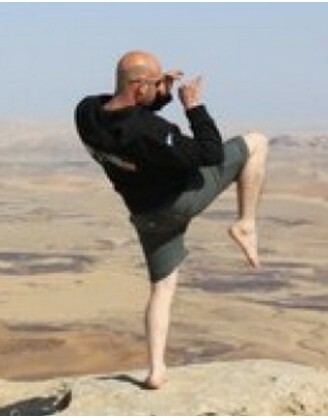 Third, krav maga immediately attempts to psychologically prepare the practitioner for fighting. This training is intended to develop the fight-or-flight response that is innate in humans into either correctly fighting or seizing an opportunity to escape. Often, when a combat situation is initiated, an untrained individual will be powerless for a few seconds while the psyche attempts to adjust to the situation. These few seconds can be enough to give an opponent time to kill or injure. Krav maga practitioners are taught to overcome this initial hesitation with action, whether it is action to fight or to escape. The krav maga curriculum begins with learning to be aware of possible danger situations. Practitioners also are taught that it is important to be able to size up a situation before entering into peril. This part of the training reflects Lichtenfeld’s initial experiences with fascist gangs in Europe and also addresses the contemporary situation in Israel, where sudden terrorist attacks are a constant threat. At this beginning stage, students are also taught the basics of human anatomy (specifically weak points of the human body), how to fall from various positions and land safely, how to make a fist and punch, and the basics of boxing. As students progress, they are taught advanced boxing techniques and other empty-hand strikes, kicking techniques, and defenses against punches and kicks. Students are then taught how to break free of choke holds, neck locks, and holds against the legs, waist, and chest. Later, students are introduced to higher-level concepts of fighting, including more kicks, throws, and takedowns (attempts to destabilize the balance of an opponent and force him to the ground). At the highest levels of training, students are taught to recognize the threats that involve being attacked with a knife, gun, or even a submachine gun, and disarming techniques against these weapons. Krav maga practitioners are also expected to continue development of their sense of danger awareness. At higher levels, students also can learn techniques that can aid in various professions. For example, there are techniques that are designed for police and other law enforcement officers, to help these professionals in subduing opponents without seriously injuring the opponent. Advanced techniques also exist for bodyguards and special operations soldiers. Krav maga techniques are designed to be simple and direct. There are no high kicks used in the art; kicks are directed at waist level or below. Knee strikes, especially against the groin and inner thigh area, are especially used. Practitioners also use kicks against the legs, similar to those used in Muay Thai (Thai kickboxing), to unbalance an opponent. Punches are based on boxing moves and are intended for vital points or to place the mass of the body behind a blow to gain punching power. Open-hand techniques to the eyes, ears, throat, and solar plexus are used. Elbow techniques are used extensively. These techniques require little strength but have devastating results; an elbow strike to the face or floating ribs can easily disable an opponent. Throwing techniques are not of the type usually seen in judo or sambo (a modern Russian martial art); they have more in common with freestyle wrestling takedowns. The purpose is not to gain points, as in a sporting match, but to get the attacker in a weak position as quickly as possible. Practitioners are taught to restrain attackers through arm bars, which attempt to hyperextend the elbow joint unless the attacker submits, or by twisting the wrist joint until the attacker is in pain. At advanced levels, choke holds, which attempt to cut off the supply of air or blood to the brain, are taught. Choke holds are powerful techniques that enable a smaller person to endanger a larger one. 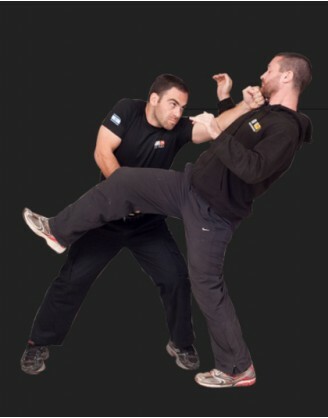 Krav maga is also unique in that students are taught to take advantage of material objects that may be at hand for aiding in a self-defense situation. One of the theories behind krav maga is that ordinary objects can be turned into weapons, if only for a few seconds, to provide a critical advantage to the person being attacked. Women who carry purses are taught to initially throw them at an attacker to off-balance him and provide a few additional seconds to escape or attack. Objects such as ordinary writing pens can be turned into weapons, and practitioners are taught how to use them as such. In addition to the martial benefits of studying krav maga, students are introduced to an effective form of exercise. A krav maga workout exercises the body in every way, from intense stretching to aerobic and anaerobic conditioning. Even though the art can be studied by people of all ages, the serious participant will become more physically fit through the intense training that the art demands. Krav maga is a martial art that is intended to be self-defense in its purest form. The art is not intended to change the individual to conform to the system, which is expected in many traditional Asian martial systems. Rather, the art conforms to the unique personality and body structure of the practitioner. Every human is physically different, and krav maga teachers realize this. The primary goal of practitioners is to become aware of how to defend themselves. This involves learning how to best use the situation to the advantage of the practitioner in accordance with the unique abilities of each individual. Krav maga is also expected to instill in its practitioners a sense of confidence, calmness, and mental readiness to respond to danger situations. The only criterion for inclusion in the art is usefulness to one’s survival. Practitioners take the tools they are given through the art and adapt them to their own needs. The effectiveness of the art can be seen in the growth of the demand for instructors. Krav maga is now the official martial art of many police departments and special operations units in the United States. In an ironic twist, it is also the martial art of choice for many special military units and antiterrorist teams in European countries, including France, Finland, Sweden, and Germany. The reasons cited for the popularity are the effectiveness of the art and the ease with which it can be learned by practitioners. Krav maga has been called the “first unarmed combat system of the twentieth century.” This is meant to convey the fact that it developed in this century with the understanding and awareness of modern combat. Firearms are the weapons of choice for twentieth-century warriors, and terrorism and sudden violence often define the battlefield of this century. Imi Lichtenfeld took this situation into account when he developed the art, and the current instructors use this understanding as the basis for further refinements of the system. Just as karate was developed for self-defense when weapons were banned for use by civilians on the island of Okinawa, and certain forms of jujutsu were developed as auxiliary weapons when a Japanese warrior lost his weapons in battle, krav maga was developed as a way for modern warriors to defend themselves against the unpredictable nature of modern combat. It is not intended to reflect a cultural background or a way of life, but simply to be studied as a system of effective self-defense. In this respect, krav maga is also one of the most universally applicable martial systems. Although a recent arrival on the martial arts stage, krav maga has become a very popular style. As the demand rises for soldiers to fight in unconventional contexts, as well as for civilians to be able to cope with dangerous situations, the demand for krav maga will likely rise as well. 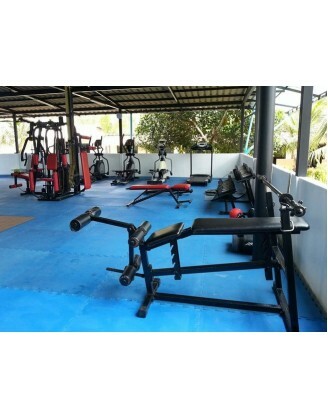 If you want to book and train any kind of Martial Arts around the world, please, choose only reliable and tested GYM's and camps, such as those listed at category Krav Maga. We collect and publish reviews about all camps and school around the world, if you want to write review about Krav Maga, please use tab Review in camp description block above.